Pluto’s Sweater (film) Pluto cartoon; released on April 29, 1949. Directed by Charles Nichols. 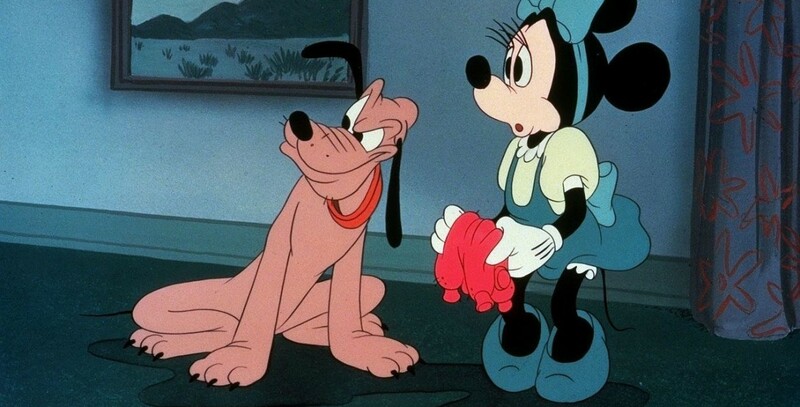 Minnie knits Pluto a sweater that he hates and tries everything in his power to remove. When it gets wet and shrinks to a tiny size, Minnie gives it to a disgusted Figaro instead.